The PFM Roadmap for Forum Island Countries (FICs), endorsed by the Forum Leaders at its 2010 meeting, also aims to strengthen the PFM systems of FICs through better management and use of public resources and as a result enhanced transparency and accountability to the people of the Pacific. PASAI plays an important role in strengthening the PFM systems of FICs through the work of individual Supreme Audit Institutions (SAIs) as well as its regional programmes under its five strategic priorities. PASAI’s relationships with development partners (DPs) and donors are crucial to its ongoing success. Maintaining and strengthening relationships with existing primary DPs and other critical DPs (listed below) is essential, as is the need to develop new relationships with others. 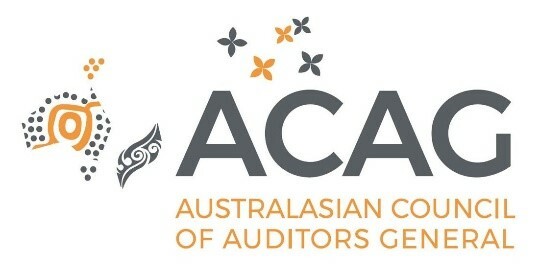 The Australasian Council of Auditors-General (ACAG) is an association established by Auditors-General for their mutual support and for the sharing of information. Along with the Australian Government, ADB funded the The Pacific Regional Audit Initiative (PRAI) which was designed and approved in 2008 to improve integrity and financial scrutiny of Public funds. Currently, ADB provides Technical Assistance (TA) associated with PASAI’s 2014-2024 Strategic Plan. Australia has made direct contributions to PASAI since 2008 valued at AUD7.85 million. This contributes to the goal of helping Pacific Island Member Countries improve the quality of public sector auditing to uniformly high standards and promote efficient use of public sector resources. The Pacific Islands Climate Science Center was established by the Department of the Interior on October 7, 2011, as a consortium led by the University of Hawai‘i at Mānoa, the University of Hawai‘i at Hilo, and the University of Guam. The Economic Development Fund (EDF) assistance administered by PIFS from the European Union is for Pacific Regional Projects that come under the Pacific Regional Indicative Programme administered by the Regional Authorising Officer (RAO) which is part of PIFS. IDI works to enhance the institutional capacity of SAIs in developing countries across INTOSAI regions and groups of SAIs through needs-based, collaborative and sustainable development programmes. In conjunction with PASAI, IDI delivers joint initiatives and programmes for the benefit of member SAIs. Acting through the NZ Secretary of Foreign Affairs and Trade, MFAT is one of the primary funders of PASAI’s Long Term Strategy 2014-2024. The funding is made available under New Zealand Aid Programme’s Partnership and Funds, helping PASAI to enhance SAIs’ abilities to audit the use of public sector resources and improve transparency and accountability in the Pacific. PFTAC supports PICs achieve enhanced growth and poverty reduction through its high-quality technical assistance and training in improving macroeconomic management. Together, PFTAC and PASAI have delivered accounting and financial management training for member SAI staff as well as finance officers from PICs. UNDP helps governance institutions in countries bring constitutional reforms, organise credible elections, strengthen Parliaments, and address policy and institutional options for peace, risk-reduction and development through reconciliation, empowerment and inclusion. The University of the South Pacific (USP) is the premier provider of tertiary education in the Pacific Region and an international centre of excellence for teaching. USP, together with PASAI, delivers jointly-funded training on accounting standards for its member SAIs. The WBG’s twin goals are to reduce poverty and promote shared prosperity. The WBG supports development in developing countries around the world by providing low-interest loans, zero to low-interest credits and grants to developing countries.